Cypriot Georgiou won seven matches at the one-frame knockout event in Watford to capture the £32,000 top prize. The 30-year-old, ranked 73rd in the world, had never previously been beyond the last 16 of a ranking event. Georgiou made a break of 52 in the final and went on to lead 61-0. Dott then had a chance to clear and raced around the table as he slotted balls into pockets in a dash for glory. The Scot got to the final blue before missing a tough long pot on 51. As the clock ticked down and the crowd roared, the two players battled on the pink, Georgiou 61-56 ahead. Dott was trapped in a snooker behind the black, and escaped but left the pink over a baulk corner, leaving his relieved opponent to pot it for the title. A huge extra bonus for Georgiou is that he qualifies for the Ladbrokes World Grand Prix at the Preston Guild Hall having come into this week needing to win the tournament to jump into the top 32 of the one year ranking list. Georgiou won the world under-21 title back in 2007 and after a brief spell as a professional, he virtually gave up snooker and spent several years working in an office in London in a recruitment role. Since returning to the circuit via Q School in 2014 he has gradually improved his skills and experience, helped by practice sessions with the likes of Jimmy White, Stephen Hendry and Marco Fu at his home club in Coulsdon. 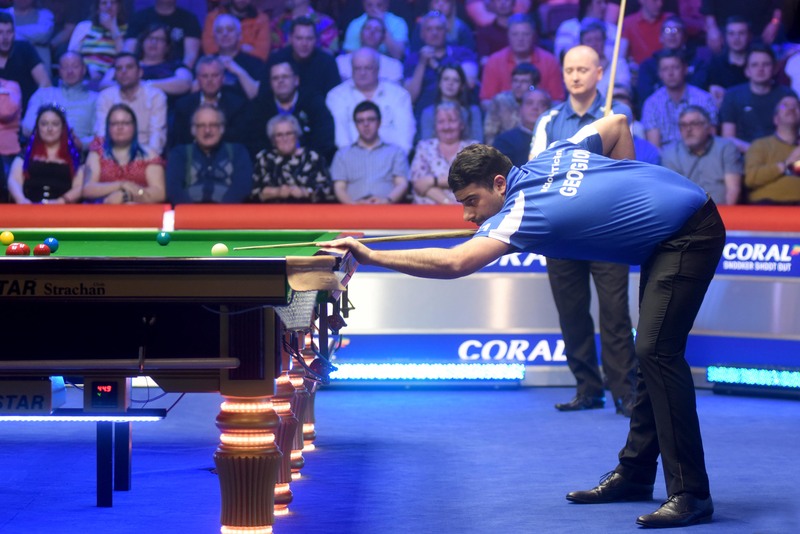 While this week’s event was played over a short distance, Georgiou proved that he has the talent and calmness under pressure required to climb the snooker ladder. 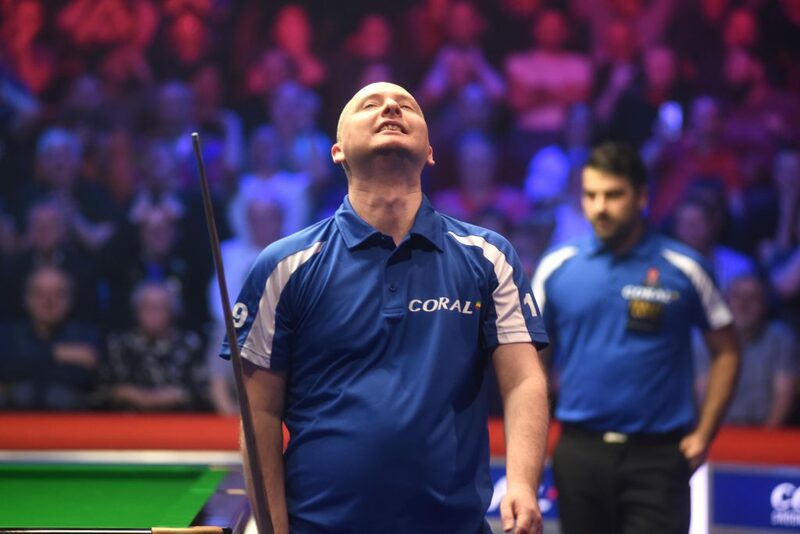 Dott had to settle for the runner-up cheque for the second time in a week having lost to Mark Williams in the German Masters final last Sunday; which was his first ranking final in eight years. One of the fastest players on the circuit and sharpest thinkers, Dott is the only player to reach the semi-finals of the Shoot Out three times, but he is yet to lift the trophy. The 2006 World Champion is clearly back in form and will hope to break an 11-year drought without a ranking title before the end of the season. Georgiou, reflecting on the best moment of his career, said: “The way Graeme came back at me – the speed and efficiency he was playing at was phenomenal and I thought I was going to be runner-up. It feels weird! “I half expected to lose the final so when the chance to pot the pink came up it was a huge relief. To be walking away with the trophy is fantastic. It feels like more than 11 years ago that I won the world under-21 . All the work and practice and commitments I have made, it has all been worth it. It hasn’t been a solo effort, I have had great support around me. It’s a team effort and I am so grateful for that support. Georgiou was born and raised in England but his grandparents are from Cyprus and last year he completed the process of changing his nationality to Cypriot. He hopes that his success on the tour can raise awareness about snooker and encourage more interest in the sport in his homeland (read more about that here). Earlier in the semi-finals, Georgiou beat Martin O’Donnell 53-5 with a break of 37 while Dott saw off Mark Davis with a run of 59. In the quarter-finals Davis beat Joe Perry in a sudden death blue-ball shoot out after the frame score finished level 36-36. Remarkably that was the third blue ball shoot out of the tournament; there had only been one in the event between 2011 and 2017. Georgiou made a 109, the highest break of the tournament, in beating Zhang Yong.